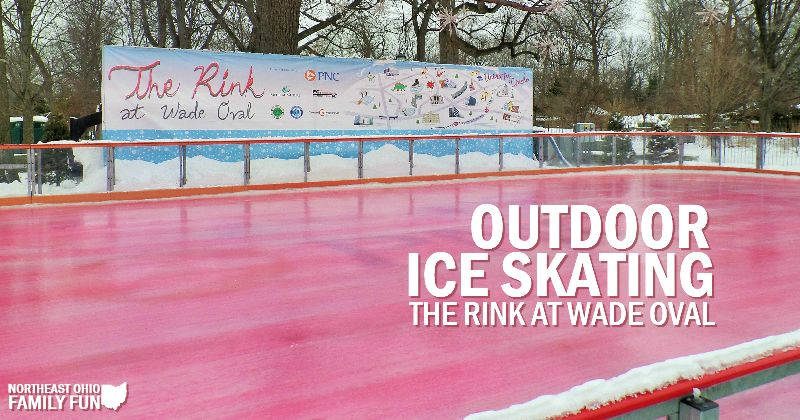 We've been wanting to check out the seasonal ice skating rink at Wade Oval for awhile now and this year we made it a point to visit. 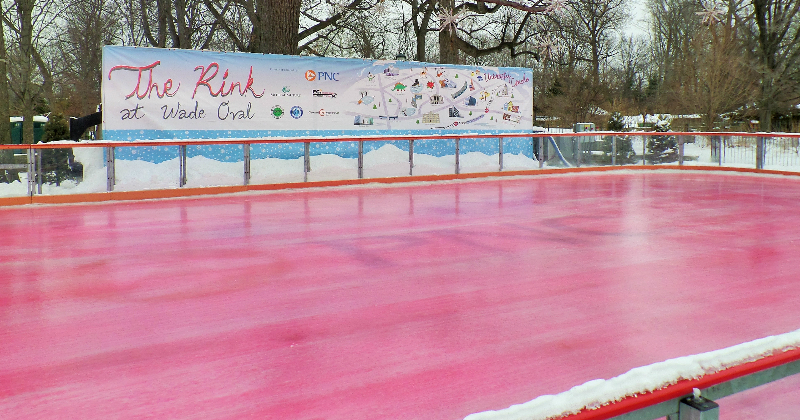 We went during Valentine's Day weekend, which means we got to enjoy the rink painted pink. It was a fun touch that reminded me of a story I used to read with my daughter. Any Pinkalicious fans out there? We arrived as soon as the rink opened and we were the only people there. In fact, it was nearly an hour before another family showed up. It was fun to have the place to ourselves, especially since we had not been ice skating in a few years. The workers were really friendly they helped us get our skates and made sure the space heater was turned on in case we needed to warm up. It didn't take long for all of us to be comfortable on the ice and we had a great time skating around. If you are a beginning skater, they have orange cones available to skate with. The cones slide easily on the ice and provide something to hold onto so you don't loose your balance and fall. 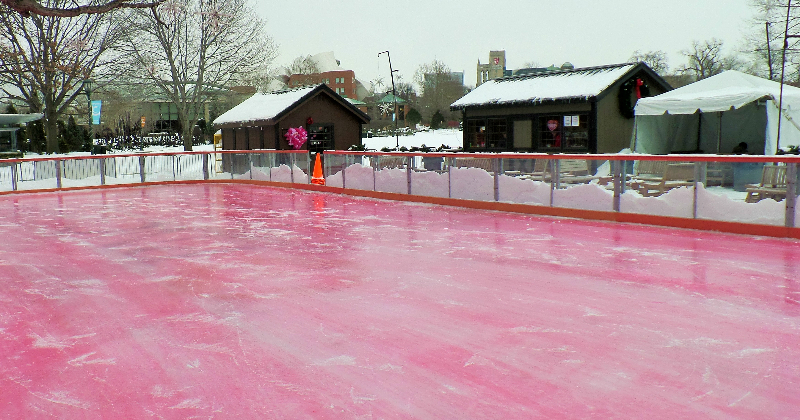 The rink is open the day after Thanksgiving through early March. Cost is $2 admission and $3 skate rental. 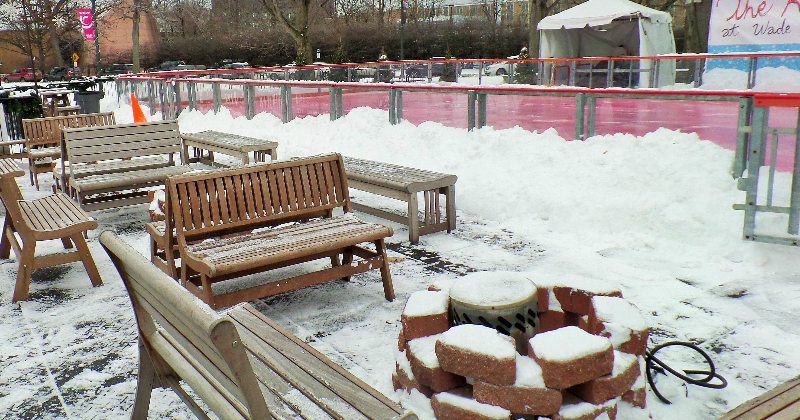 In addition to the ice skating fun, they also host special events like Movie Nights, Learn to Skate Sessions and more. Sign up for the FREE Northeast Ohio Family Fun Newsletter so you are notified about these special events.